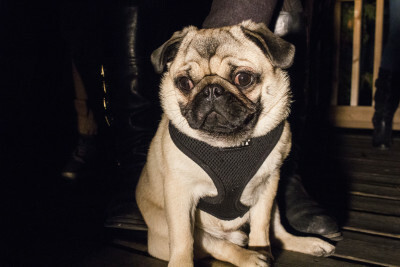 Helmut Newton, the little dough-eyed pup from Toronto behind the hit Instagram remake of Drake’s Hotline Bling gathered his canine and human friends last Wednesday to celebrate the launch of his charity calendar Helmut & Hotties 2016 for pugs in need. With his “Pugline Bling” video nearing 40,000 views on YouTube, and a follower count of over 13,000 on Instagram, Helmut’s caretakers, Christie Vuong, a professional photographer, and her boyfriend, Andrew Kouri, decided that the pup’s popularity can be put toward a good cause. 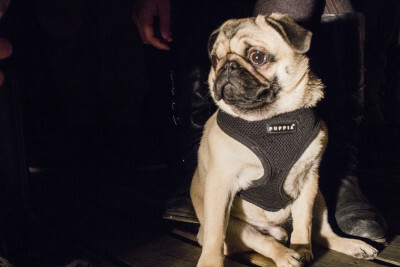 The couple partnered with Pugalug Pug Rescue, a registered charity made up of dedicated volunteers who carry out a thorough screening process for pugs to be adopted and placed into good hands. 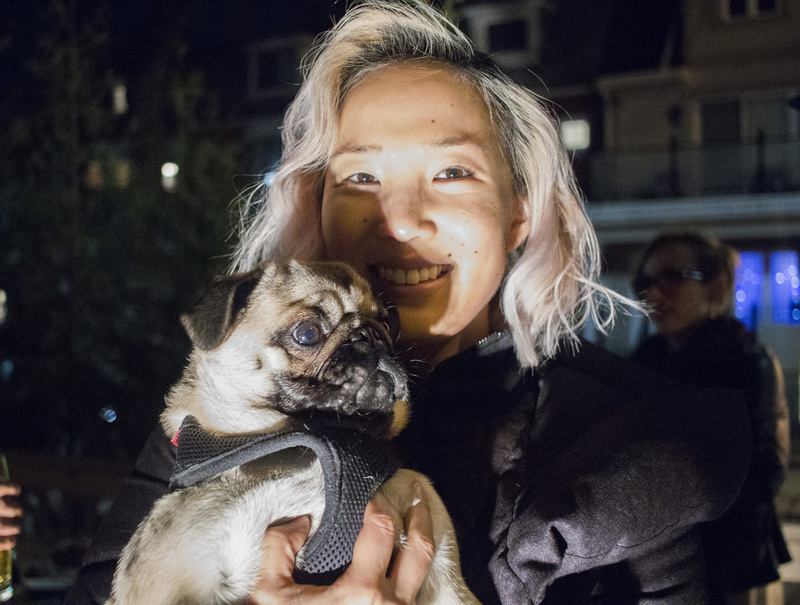 “They rescue pugs because their breed tends to come with a lot of genetic and health complications,” said Vuong at the Northern Belle coffee shop patio party in Toronto. Pugalug runs potential pug adopters through a comprehensive application to complete, a home visit, and references to ensure the pug “doesn’t wind up back in rescue and have to undergo the process again because of an inappropriate adoption,” as stated on their website. Pugs are costly to maintain particularly for their body structure and vulnerability to a range of health issues, which include allergies, eye, joint, thyroid and respiratory problems. 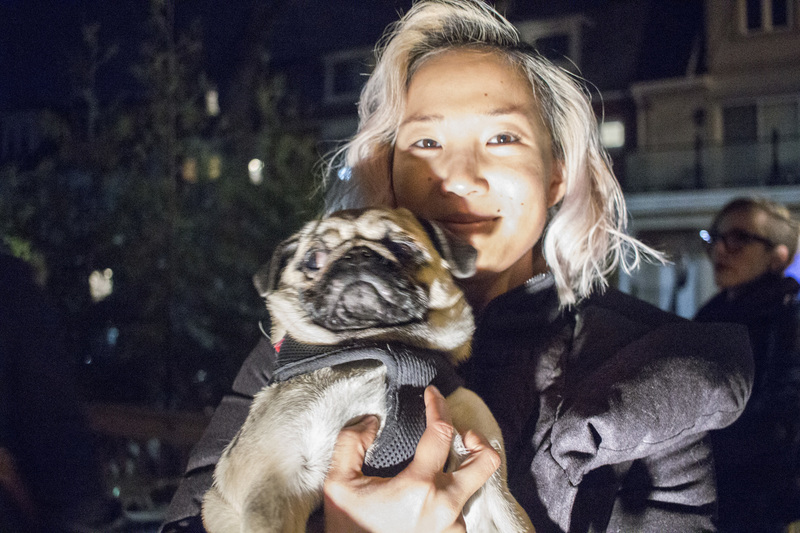 “So I just thought after his Pugline Bling video, ‘What can we do with this?’ and Pugalug Rescue came to my mind with all the good things they’re doing there,” said Vuong. 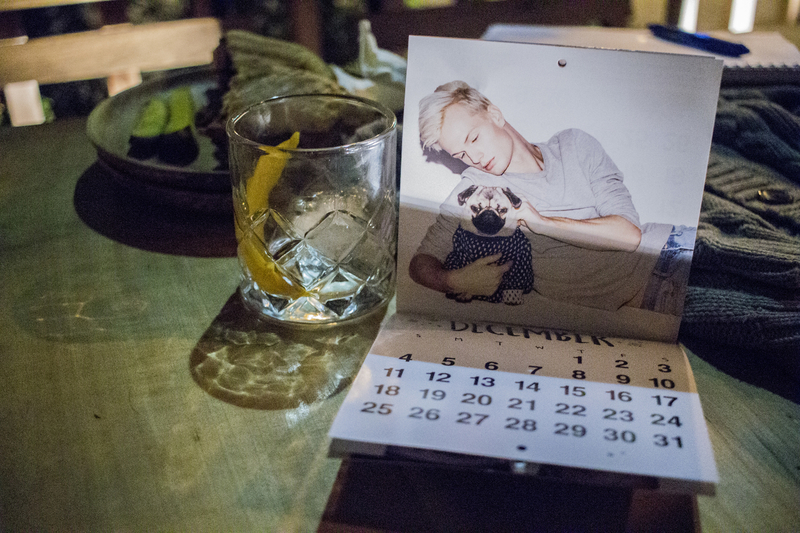 Vuong and Kouri, who recruited out of their own group of friends, well-known and willing locals, as well as model agencies for the project, produced the Helmut & Hotties 2016 calendars ($15) independently. 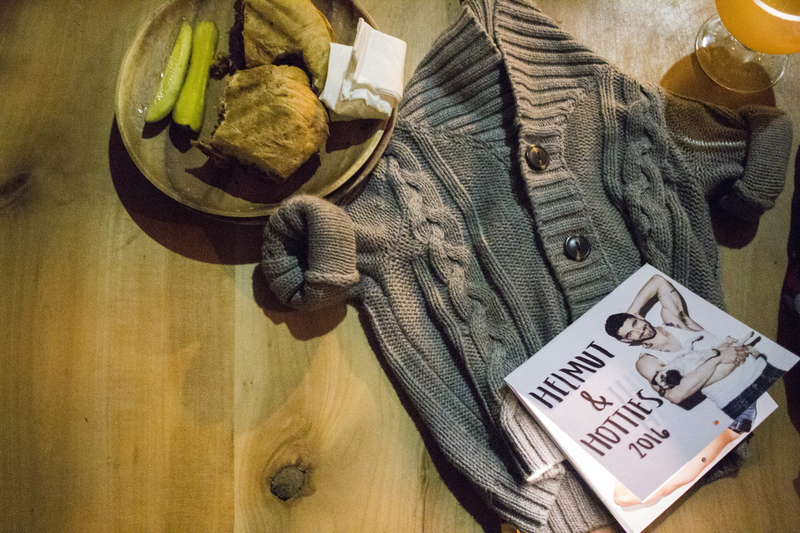 All proceeds go to Pugalug Pug Rescue. 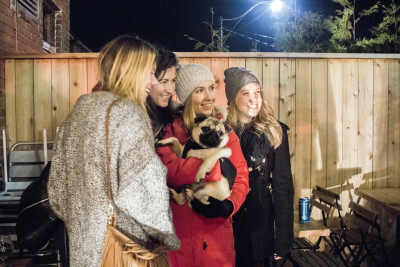 The launch party for the Helmut & Hotties 2016 calendar last Wednesday was held at the dog-friendly patio of the Northern Belle coffee shop patio along Dundas St. W.
Helmut Newton, better known as Helmut the Pug, is the 7-month-old pup behind the Instagram hit clip, “Pugline Bling”. 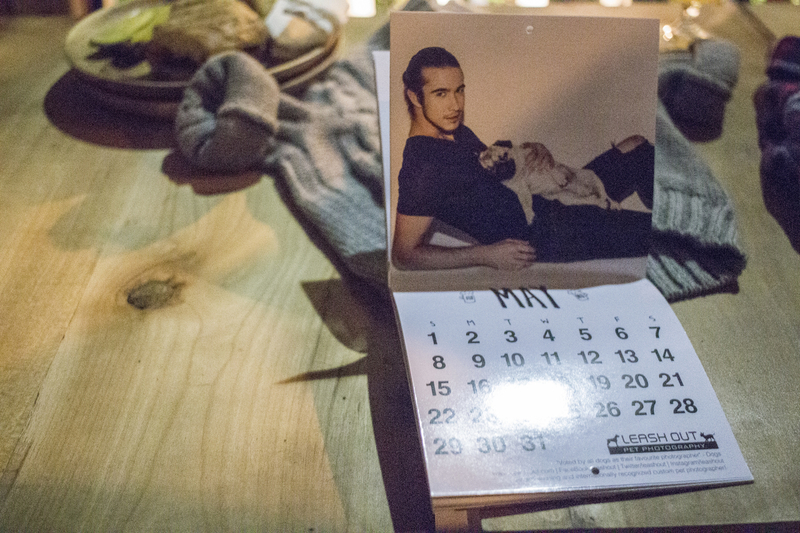 Proceeds for the Helmut & Hotties 2016 calendar ($15) goes to Pugalug Pug Rescue to help pugs in need. Barrett Lucak of Plutino Group model agency posed as Mr. May with Helmut for the charity calendar. 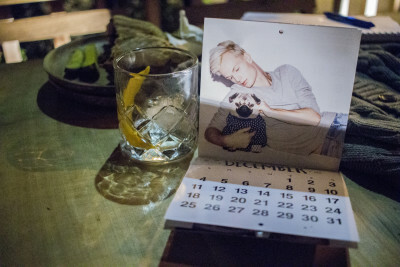 Dane Carlsen of Elmer Olsen Models posed as Mr. December with Helmut for the charity calendar. Christie Vuong, poses with her beloved Helmut Newton, whom she photographed with the models for the Helmut & Hotties 2016 calendar. Locals, friends, and fans stepped onto the Northern Belle coffee shop patio in Toronto to get one-on-one time with the pup, his humans, and their friends. “It was tons of fun and for a good cause,” said Keanu Nunes, Mr. February, and gymnastic Olympian for the Portuguese national team. 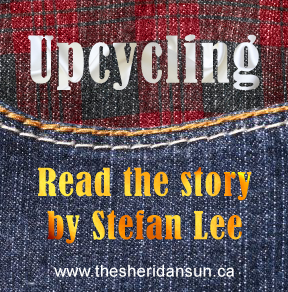 “Helmut was so comfortable doing it all and seemed to have absolutely no problem posing with different shirtless dudes,” said Dean Johnstone, Mr. July. Sponsors for the couple and their projects for dogs include WellyTails, Kingston Road Animal Hospital & VETS Toronto, The Canine Social Company, Open Farm Inc., Leash Out Pet Photography, Northern Biscuit Bakery, Urban Sassy, Harry Barker, Plutino Group, The Canine Kitchen, and When Hounds Fly. 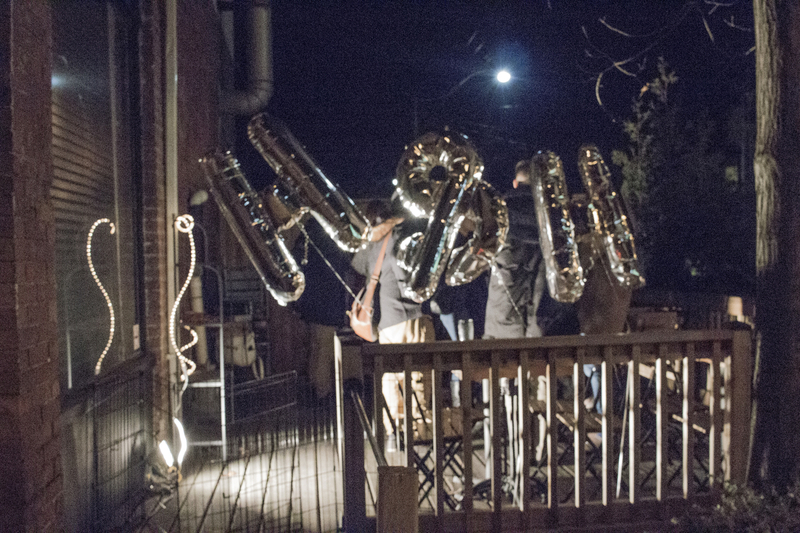 “This the second meetup we’ve had, and we want to keep it up every second or so week of the month,” said Vuong. Added by marielle on December 7, 2015.